Welcome to Kids Coloring Central where you can have lots of fun. There are coloring printables and online coloring pages. Plus find fun online games for everyday and the holidays. Okay, we've just gotten started so not much to select from yet! Give us some time and then watch out! There will be so many pictures it will make your head spin (or at least ours as we work very hard to build this site). In this section we will list featured pages. Rather it be an upcoming holiday, change of seasons or just some new theme we have added, you will find links to these pages in this section. 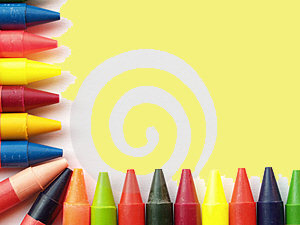 In this section we will list featured kids coloring pages. Rather it be an upcoming holiday, change of seasons or just some new theme we have added, you will find links to these pages in this section. It's time to give thanks with these fun and adorable Thanksgiving coloring pages. From pilgrims and turkeys, Native American Indians, cornucopias and more, these pictures will let kids get into the spirit of giving for the holiday. Get into the "spirit" of this holiday with these fun, adorable and not too scary pictures. Here are some of our featured online Thanksgiving coloring pages. With turkeys, pilgrims, Native American Indians, cornucopias, scarecrows and more, kids are bound to find their favorite Thanksgiving picture to paint online. This online turkey coloring page is just too cute to pass up. With his pilgrim hat and colorful feathers, he looks like he is ready to celebrate this special holiday. It wouldn't be Thanksgiving without having a few pilgrims around. Color this little pilgrim girl online and get her ready for the big feast. Use bright and pretty fall colors to dress her up for the big day. Help recreate the first Thanksgiving by coloring this Native American Indian. The Pilgrims and Indians gave thanks for the bountiful harvest and celebrated together. Here are even more online Thanksgiving coloring pages for lots of fun this holiday. In this section we let you in on a little secret. These kids coloring pages give you a sneak peek at what's coming up next on this Kids Coloring Central. The sneak peek at these pages is just a small example of what is to come. The pages will be either upcoming holidays, special events or seasons or just fun and cute coloring pictures. So come back often to see what's in store next on our site. Click on the pictures below to open up this printable and get a sneak peek at some coloring fun. This will open a new window/tab of the larger, printable picture. Christmas is just around the corner and Santa is busy gathering all the toys that the elves have made. He is so excited to make his journey to all the good little boys and girls houses on Xmas Eve. Click here to get this printable. Winter is in the air and the snow is not too far behind. Grab this adorable snowman to color inside while the weather is cold outside. Click here to get this fun coloring printable. Christmas is the time for sugar plums, candy canes and teddy bears. This adorable Xmas coloring printable captures the spirit of this holiday. Print this off and color him with your favorite crayons. Perhaps you will have visions of sugar plums and candy canes while you dream of Christmas day. Click here to get this Christmas coloring printable. Check out our sister site for lots of kids craft ideas for Thanksgiving. Make a scarecrow, pilgrim hat and some fun handprint turkeys. Would you like to share your knowledge about kids coloring? Contribute to www.kids-coloring-central.com!